We’ve reached the half-way mark of 2012 and many around the literary web are listing their favorite books of the year so far. This seems like as good as excuse as any to scratch my Tournament of Books itch. If literary 2011 ended right this very minute, what would the 2012 Tournament of Books look like? Commence totally unsupportable speculation. Let’s take a look at this year’s books that have the best chance of making the field of sixteen. One thing The Morning News does well is give us a nice mix: satire, short stories, poetry, coming-of-age, page-turners, comedies, etc. So the prime directive here is not necessarily to list the year’s sixteen “best” books, whatever that means exactly, but to replicate the heterogeneity of previous tournaments. Here’s my effort, with a brief explanation for each contestant. 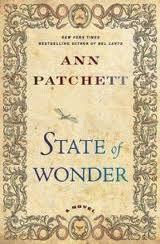 State of Wonder seems to be the literary novel of the moment. Like So Much For That from last year, it takes on the health care industry, though with considerably more adventure, style, and daddy issues than Shriver’s novel. Should State of Wonder make the field, it has to, at this point, be considered a favorite. 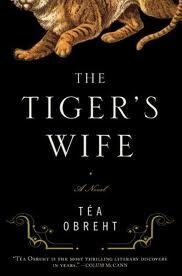 Winner of the Orange Prize, The Tiger’s Wife is the surest bet here to be selected. Interweaving folk tales and family drama, this might have the finest writing of any of these titles, though I think it lacks the punch to take home The Rooster. One thing is clear about the 2012 tourney: we’re going to have much more temporal diversity. None of the 2011 picks had substantial narrative action that occurred before 1999, already The Tiger’s Wife and West of Here delve deeply into history for material. 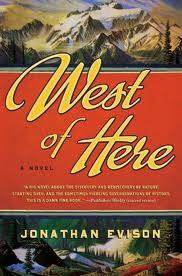 West of Here is a big, sumptuous story of the settling of Washington State (with some prolepsis into more recent days) that brings to mind Annie Dillard’s great All the Living. Evison’s characters are bit more outsized than Dillard’s, but this is as much a realist mythology as it is historical fiction. It’s probably a little too long and a little too to do with logging to make it past the second round, but it’s one of my personal favorites of the year. This one is rising even as we speak. Tough to go wrong with a finely wrought family drama with an angle (bigamy!). 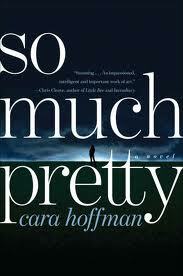 Reviews have been glowing and it’s next up on my reading pile. I can see this in one of those deadly first round match-ups between really good lower seeds (a match between Silver Sparrow and a higher seed like The Tiger’s Wife could produce an early stunner. You heard it here first, from your local online literary tout). 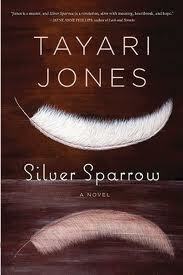 Another literary wunderkind, another tough to describe novel. For sheer imaginative virtuosity, Swamplandia! will be tough to top, though forays into the hyper-real don’t tend to fair well in ToB land. Mid-round TKO in Russell’s future I’m afraid. 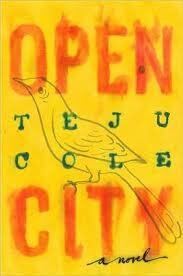 Going out on a bit of a limb here, but Cole’s debut novel of immigration, race, youth, and aimlessness in New York City feels like it would fit right in here. The protagonist’s rootlessness and wandering reminds me a bit of the tone of Teddy Wayne’s Kapitoil >, but without quite so much narrative affectation. Probably an early round loser, but it’s the kind of book that could sneak into the field over more established writers who turned in mediocre efforts this year. The Tournament of Books is not afraid of literary brain-teasers like this and indeed could do something devilish like match it up against Blake Butler’s There is No Year or The Lover’s Dictionary for a first-round experimental fiction show down. If you can pull off textual fireworks like this, you get to come to the party. This is a very good novel, but I am including it here mostly because it reminds me so much of Jaimy Gordon’s Lord of Misrule. It’s not about horse-racing, it’s about 1980s New York punk, but it is a near-artisanal rendering of a particular piece of American sub-culture. 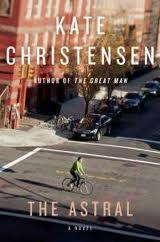 I can’t believe we’ve gone this long without a novel about people living in Brooklyn. And, from what I’ve read, The Astral might be one of the best Brooklyn novels ever written (I feel a future blog post coming on here). It’s both a snapshot of a borough and of a certain kind of relationship, a platonic friendship between a man and woman (Somewhere, Harry Burns is shaking his head). As a Brooklynite with vaguely literary concerns, I am contractually obligated to read this, but luckily it is supposed to be really something. 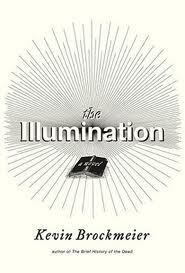 My favorite novel of 2011 so far. Beautiful, mysterious, haunting. Part Kafka, part Bruno Schulz, this one feels timeless. I have a review cooking, so I won’t say more now. Going to be trumpeting this one like I did Matterhorn last year. A compelling, complicated lead character is a good bet to do well in the tournament, and the protagonist of Faith is a seemingly sympathetic priest accused of sexual abuse. This is a story we’ve all read in the papers, and seen on the screen in the form of Doubt, but this one has a more definitive end and more difficult resolutions to handle. This is the kind of craftsman-like, quiet novel that tends to get overlooked by the tourney, but at this point I think it’s in the running. (Novels coming in the fall will have something to say about this, however). This has two elements that make it a likely pick: a central metaphor/condition connecting disparate stories and a strong dose of vaguely spiritual magical realism (just enough to be catnip for those whose only true belief system is literature). 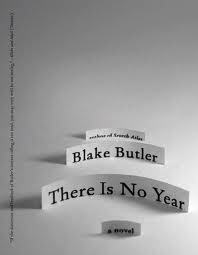 Challenging, bordering on nonsensical textual sleight-of-hand, Blake Butler’s There is No Year is either one of the most accomplished novels of the year or one of the most contrived. It is also possible that is both. I can’t tell. But what I can tell you is that I have spent more time thinking about this book than almost any other I’ve read this year and that counts for something. 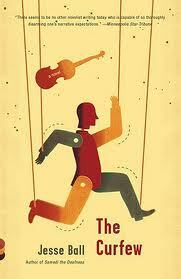 This one gets the Gary Shteyngart memorial slot for a off-center, inventive, entertaining bizarreness. 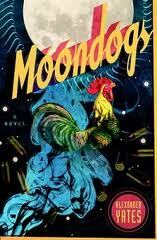 I sure miss new Tom Robbins novels and I think this is as close as I am going to get. Manic, irresistible fun–so attention must be paid. 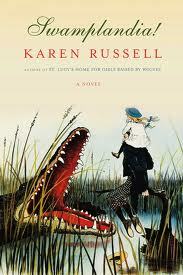 And of course literary 2011 would just be incomplete without a of novel about male sexual violence. I am a little wary of how these books tend to go, but So Much Pretty is worth spending some time with. Hoffman is a journalist by trade and her taste for truth and resolution that some recent abducted girl books don’t have (The Lovely Bones, The Fates Will Find Their Way). This take adds some meta-discourse about this paradox: male sexual violence happens all the time and no one thinks anyone they know is capable of it. 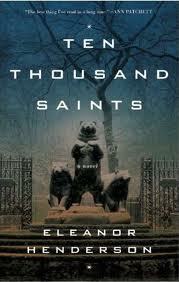 I’ve found nothing to fill Nox‘s slot from last year: something not a novel, but that it is book-length and coherent. Something that is a different take on a familiar subject or a familiar take on a different subject. 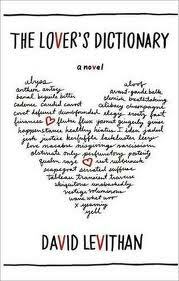 David Leviathan’s The Lover’s Dictionary is close: a fractured, turbulent love story told in a series of dictionary definitions relating to love–at least monogamous heterosexual first world love. I don’t know that it has the pathos of Nox, but it is an original style deployed on the most unoriginal plot, which I suppose is the way you say something new about something everyone thinks they already know everything about. You might notice that the most-discussed new work of fiction from the last six months isn’t on here. I wrestled with including The Pale King, but I ultimately decided that since this isn’t a book sanctioned by the author, it can’t be considered here. 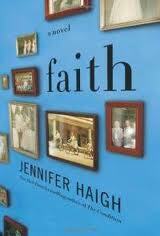 It is a fascinating book with some dazzling prose, but it is not a novel in the way we talk about novel. It is more a textual artifact, a sepulchral remnant of what might have been.